We believe that Frolic was born in 2012. She is a 12 hand, bay pony filly of a Hackney type. 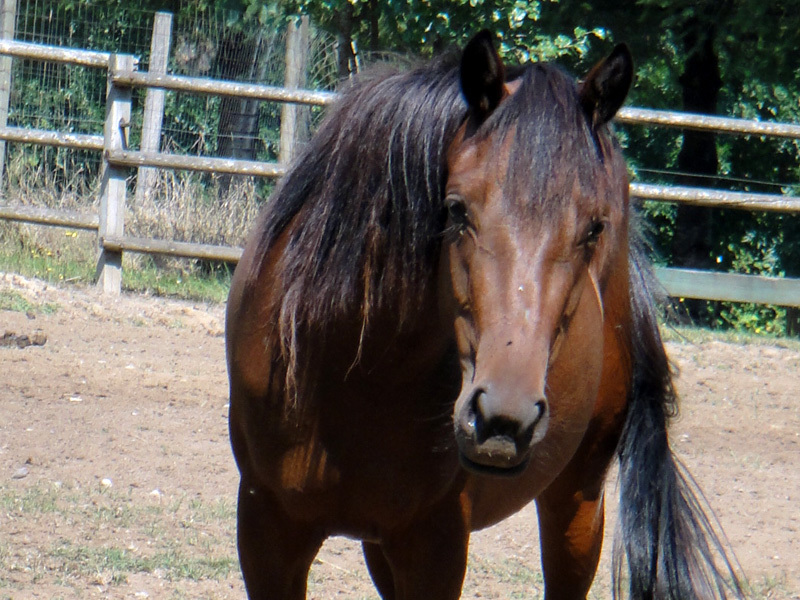 She had a rough start in life, having been sold to slaughter as a yearling. That experience contributed to her fear and distrust of people. 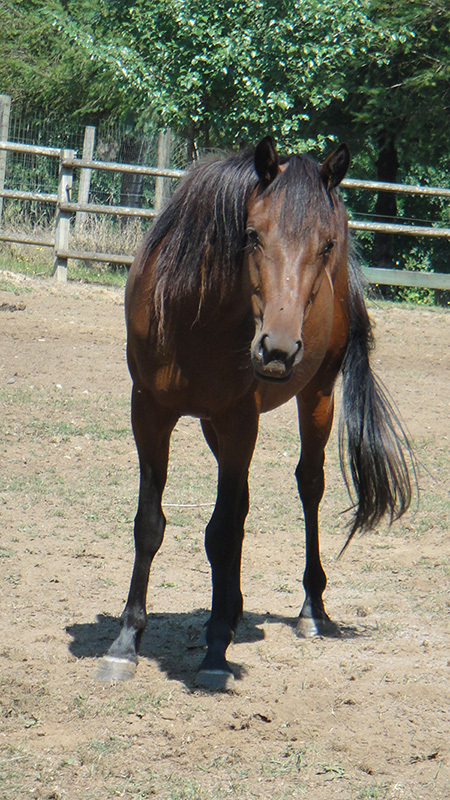 She was purchased from a kill pen and donated to Equine Aid. We have not been able to halter her but our approach has been to earn her trust by regular, gentle interactions. Fortunately, she wears her feet down and accepts wormer in her feed bowl. We plan to continue our work with her as we believe a trained horse is more likely to find a forever home.